This site has always been dedicated to “presenting the patient story in a way that may increase understanding of the disease by doctors and researchers” as one of its three goals. The Onset Story project has been an important part of that, both for patients and for healthcare professionals searching to understand this disease better. 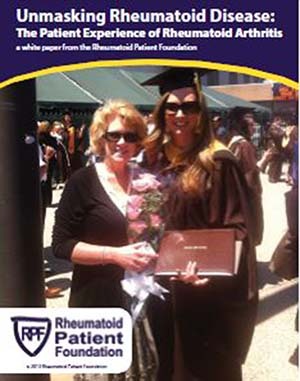 Many of you also participated in a 2011 Rheumatoid Patient Foundation (RPF) survey about your experiences with Rheumatoid disease. 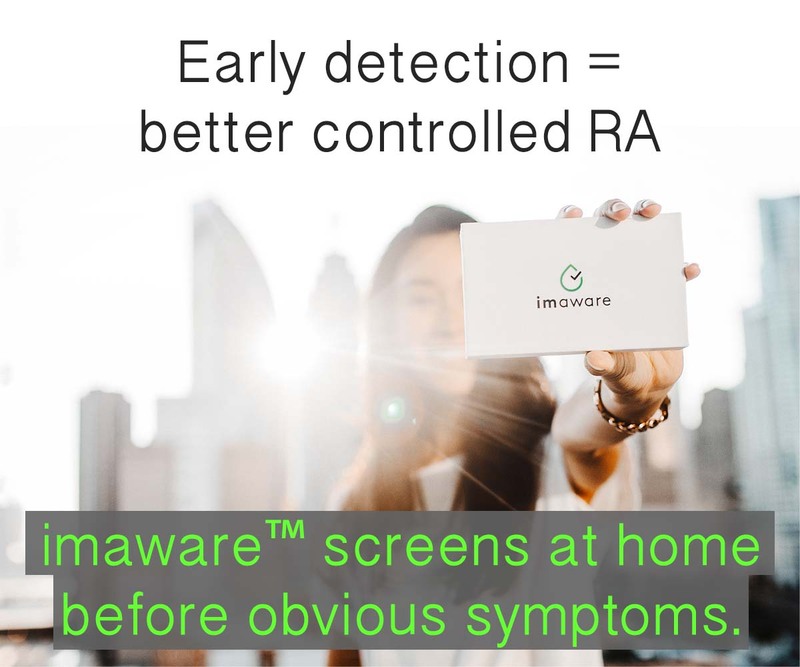 The survey results revealed a wide array of patient experiences, many of which fall outside of the typical model of RA that is presented in current medical literature. For example, although exercise is often touted as being beneficial for RA by improving mobility and lessening symptoms, two thirds of the participants reported that exercise caused an increase in RA-related pain.The survey data also challenge the concept of “morning stiffness” that tends to go away after a patient gets out of bed and begins his or her day, as well as the perception that joint damage and swelling are directly related.The patient responses recorded from this survey indicate that the majority of patients continue to live with pain and symptoms from RA, despite receiving disease treatment. Late in 2011, at the same time many of us were answering the original survey, Dr. Ted Pincus wrote an important editorial: The Science of MDHAQ/RAPID3 Scores: Do patient self-reports provide valid data for evidence-based care in rheumatology practice? Dr. Pincus has been quoted several times on RAW over the past four years because his work improving and supporting patient questionnaires has been invaluable. 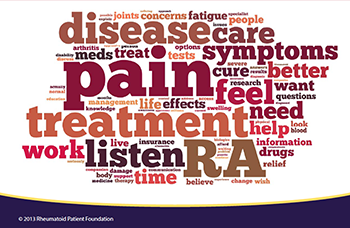 RPF patient surveys are also a crucial step toward improving understanding of Rheumatoid disease, which will ultimately be needed to improve care. Significant change cannot come until actual patient experiences with the disease are recognized generally, and considered in individual patients. Postblog: The Pincus article is also an insightful story of his own journey, like an onset story to becoming a patient reported outcomes researcher. I love also reading much older medical history and I’ve recently read a lot of it in research for a book I’m writing on Rheumatoid disease. One research article led me to a book by a patient, written 60 years ago. I’ll post more on that I hope, but I’m somehow comforted by her story: to know that things patients in this community experience, that are often disputed or discounted as atypical or wrong, were also experienced by her. Maybe another result of the white paper will be to reassure patients. I have some issues with the patient questionnaires, mainly that I don’t trust my perception of pain to be too objective. Some days I put up with it fairly well, others I don’t. However, and it’s a big however, my first rheumy read them, charted them, and referred back to them, using my comments as the main point of reference for how I was doing. The second one didn’t even both to take a list of what was hurting, let alone how much or if it was interfering with my life. The underlying philosophical difference is what is most fascinating. To the first doctor, the patient and the patient’s experience was paramount, and any lab tests, her examinations, etc., were all to help further understand what was going on. The second might have been much happier if I never set foot in his office, but just had the lab send reports and maybe a few photos. Maybe since my first experience was with a doctor- not old, not a kid, maybe mid-40’s- who used them, I am astonished to read that only about 20% use patient surveys regularly. Wonder what it was if it didn’t address function. That’s the main use for them. It was not a HAQ or a RAPID if it didn’t. But your comment does show some of the very wide range of practice we know exists. I have had three rheumies since I was diagnosed in 2005, and all three of them have regularly used questionnaires (I believe I have filled one out at every visit), but I don’t know that I’ve EVER actually seen the doctor or nurse do more than glance at it, if that. I love my current doc, but I have to wonder what the point is of filling out those darn things if they’re not going to be looking at them. I suppose maybe they’re filing them away and use them over time to track my progress? Who knows. It’s one of the great mysteries of RA care. My office does this too….I fill everything out and the papers get a glance. Kelly, is there somewhere we can read the white paper put out by the RPF? Yes, click on the words in the first paragraph of this blog post that are the title of the paper “Unmasking Rheumatoid Disease…” – that is a link to the paper. You can print it out from there if you like. 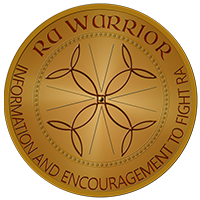 That link takes me to the rawarrior RA onset stories. It’s fixed. I finished & posted that blog from the Publix parking lot yesterday after dr appt. Still, I can’t believe no one else mentioned it to me! ty! I have seen very little on the link between physical trauma (i.e. an accident and injury) and the onset of RA. It seems more research on this topic has been done in Europe. I am curious how many patients report a physical trauma or injury prior to their onset. I have had RA for approx. 12 years. A little over a year ago we were hit by a semi on the interstate. It was not our fault the truck came over on us and sent us spinning. We just had depositions from the truck drivers attorney, who questioned that my pain was from the accident – he tried to blame everything on my RA. I had a severe hematoma, massive tear of my rotator cuff, both requiring surgery and other injuries. I have not been the same since that time. My pain is worse but I have a difficult time explaining this. Has anyone else experienced this? Just because my swelling isn’t as severe does not mean I am not in pain. My Rheumy has never used one! It takes 7months to see a Rheumatologist in my area , so I ‘ve just lowered my expectation of care! Then he sent me off for the same exact blood work I had done less than a month ago, added a thyroid test (which I also had done less than a month ago), and to get X-rays of both hands and both ankles. I’ve spent the day feeling like a fraud. Just because the meds my internist put me on are apparently working, and because he couldn’t feel any swelling in the joints. Well, they still HURT, regardless of what you can and can’t feel, and it’s a relief to me that they don’t hurt as bad as they do when I’m NOT taking the prednisone and the MTX. And of course, I didn’t write down all my symptoms like I usually do, so I forgot to tell him I had vicious flares before I got on the pred and MTX that would keep me in bed all day, that I can’t open bottles and jars anymore without either that metal clamp thing or my husband or son, that I can’t open child-proof caps anymore, and I’ve had to put knobs on all the cabinet doors and drawers because I can’t just hook them open anymore. I’ll have all this for next time, though. Or I guess we’ll be looking in Atlanta for a rheumatologist who will believe that something is wrong with me. The pain is REAL. I understand exactly how you feel. I love this site for the great information it provides and to know we are not a fraud! Like I said in my “Rheumy Rant” post, I felt so disappointed when I left my last Rheumy appointment! Ironically when researching local support events for RA, the Arthritis Foundation event has MY Rheumy as a guest speaker! I cant explain the disdain I feel for this guy. I think it was the reference to people with “a sound mind” and proving pain, and something about Fibromyalgia! I’m starting ti rant again! I went to visit friends in Florida last weekend, after the rheum appt. I came back Sunday, and spent most of the week enduring a flare — swollen wrists, hands, ankles, pain that kept me in bed most of Mon and Tues. I accidentally whacked my left wrist on the counter in the bathroom and cried out, then started to cry because it hurt so bad. I hope you can click the link above, I talk about exactly what you are saying! I know Kelly advocates for being an empowered patient, however I feel so unempowered at the doc. Even with all the knowledge I have if he is stuck in his way it doesn’t matter. I heard back from my rheum today — apparently my x-rays showed “mild degenerative changes”. So obviously there’s something going on. The nurse also said my blood sugar was “slightly elevated” at 124 — yeah, I’d eaten breakfast so it wasn’t a fasting blood sugar, surprise surprise! So she told me to keep the appt on May 22, and the rheum will discuss what’s going on at that time. Good news, though — today I felt better than I’ve felt in a LOOOOONG time! I guess the MTX and prednisone are working, it’s been 6 weeks since I started them. So of course I tried to do as much as I could before I went back to hurting. I planted my peppers and cooked an elaborate supper. If I feel good again tomorrow I plan to plant beans in the morning and corn in the afternoon. I don’t care if I’m in bed on Thursday — I have to strike while the iron is hot! I think the exercise experience post-RA diagnosis is more common than not. 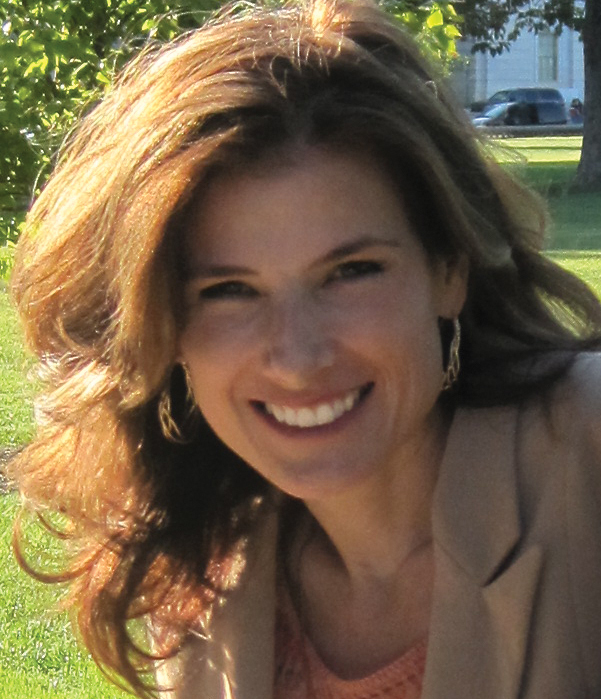 Thank you Kelly for your work and publications in this area. As with many of us, I too grew up doing a lot of exercise – dance, swimming, racquet sports, going to the gym, bike riding, hiking. I always felt that ‘high’ after exercise and my whole body usually felt better after. I’m wondering when the medical professionals and researchers will actually listen to us about how horrible we can feel after exercise post-RA diagnosis. We’re not making this up and don’t want to feel the physical symptoms we get after activity – but they’re real. Perhaps this is the reason for the reported “inactivity” levels among people with the disease. After too much activity, I often feel stiff – almost completely immobile, heavy, and have severe pain. This ain’t normal! Just recently, I’m able to do more activity without having these horrible symptoms after and I have no idea why.